Amazon Simple Storage Service (S3) is storage for the Internet. A simple web services interface used to store and retrieve any amount of data, at any time, from anywhere on the web. Work for Amazon Simple Storage Service (S3)? Learning about Amazon Simple Storage Service (S3)? "very easy to set up a static website or host images"
"A convenient cloud storage service"
S3 allows to store files and concentrate everything in a single place. It can store files from different tools, document management systems and storage infrastructure. Enterprises can keep data secure, processes compliant and teams on the same location. S3 use is not always convenient. From your desktop, you always have to access it using S3 Dashboard, a CLI or an API. It would be great to have a good graphical client. Take your site to use it wisely. S3 can be used in many ways. It can be used to serve files or storage backups. There are several price tiers and categories of services, so a real implementation requires several decisions to strike the right balance. It is easy, simple and cheap to use. It allows us faster load times as most of the contents are scaled exemplary well. Its web interface makes it very easy to upload/share files across EC2 servers. It is very highly reliable in terms of availability and uptime, which is very much essential. What I think is time-sensitive URLs is harder than it ought to be, although this is pretty quickly overcome while using a plugin. Its permission model can be more user friendly if wished. I also think that there are hidden bandwidth/request costs that add up if you are making a large number of API calls or downloading large amounts of data. S3 has a number of different storage-tier options depending on how long you plan to store your data and how frequently you need to access it. If you will be using S3 heavily and want to make sure you're not spending too much, you should do some analysis to figure out which tier will give you the most cost-efficient storage backend. In this analysis, be sure to take into account your access patterns, as S3 also charges for API calls on top of storage usage. We typically upload contents to S3 then pull them down during deployment and then shove them as environment variables. The benefit is that it allows to use aws to store secret keys and use them during our deployment pipelines. This thing is very much useful when you not only rely on S3 but many different AWS Services. "S3 excellent example of storing anything you want"
S3 stores the AMI of instances automatically in a bucket. It is very reliable, inexpensive object store. Ojects inside S3 are self contained and this object system is durable because data is highly replicated. This is the major reason because of which it is gaining popularity. Just one thing that sometimes getting heavy data for example we were uploading many megabytes of videos becomes difficult. It is sometimes slow. Just try using it and you will love it. It is great if you want to efficiently store large amounts of data and durability is the main concern for your business. S3 can store almost anything. Moreover it is very secure, durable and scalable. This is one of the reasons in our project we use it as a data storage service. We use Amazon S3 as web analytics storage, which is the main advantage of cloudwatch. It is a really stable service and it is very simple to operate and create the so-called cubes. So far we have not had any problem or error in the storage of data, really happy with the service provided. If you do not control the costs, due to the variable monthly price the payment at the end of the month will be much higher. Keep in mind the regulations of use according to the volume and storage that you can use monthly to control and manage your budget better. Amazon S3 for us has turned out to be the best option for web analysis storage because its data storage infrastructure has a reasonable price for the good service it offers. "Reliable, durable, scalable and very secure"
S3 gives high security, durability and availability at a very reasonable price, and integrates really well with other AWS services. There is no simple native way to rename a folder in S3. For doing so, you need to copy all the objects from the old file path to the new file path and then delete all the old file paths. If the folder contains a huge number of objects, this may be a big hassle. If you're already invested in the AWS ecosystem, and need a reliable and secure storage service, then go for S3 without any hesitation. S3 provides a highly reliable way to safely store and access your data in the cloud. It is a very good solution for most usecases. "Best Place for Storage inside or outside of your products"
I like thatS3 is so versatile to store information within a product, or from any other location. It can be made available online and also has rules which auto delete information after a specific period of time. A very cost effective and secure solutions to store, transfer, archive, retrieve, distribute, and anything else with data/files/etc. We store our own files, our customers files, archive builds, products, solutions, etc. Outside of work I store pictures, music, movies, files and pretty much anything else I want to access from multiple locations and keep secure in case of data loss in home or at work. "Scaleable, Cost effective but you have to be willing to learn on your own or pay for premium support"
A cost effective way to host larger media (in my case, mostly iSpring online elearning lessons) without having to upgrade my server hosting capacity. Once set up, the interface is easy to navigate and reliable. The uploading interface and feedback is outstanding and the best I have ever experienced. Their rates are extremely competitive (I also considered digital ocean) and I am satisfied with my choice. I am glad I did it but be willing to Google to learn the ropes and get set up. Once you have passed that initial learning curve, it is a breeze to use and very inexpensive. they are transparent with their billing as well. We were worried about scaling issues if our business grew too quickly or existing users would be using our services more than forecasted. Instead of having to pay through the nose for more intense web hosting for the rest of the site, we integrated Amazon S3 for hosting all of our bandwidth heavy items. My favorite feature of S3 (Amazon's Cloud Storage) is split between 2 things. 1) The extremely high durability of data. AWS's S3 storage provides "11 - nines" of durability. That's 99.9999999% durability!!! When you consider that level of durability: (being calculated as follows) 10 million objects will incur a single (as in 1) lost object about once every 10 thousand years and you factor how competitive the price point is for S3/per GB when compared to other (less durable) storage solutions it became clear to me that I wanted to utilize S3 for my data storage solution. The second 2) feature that I like best is that S3 can be fully managed with API calls. Meaning I can develop an in-house software, program, or script that allows me to interact with my data programmatically versus having to use a GUI or web interface. (Those options still exist, but aren't the "only" way to interact with S3.) It's an incredibly powerful and useful tool to have programmatic access to your data. I hate to be 'that guy' that doesn't have any negatives, but so far from my use of the S3 service; in production, testing, and development workloads, I have yet to come across anything that is an outright negative for me personally. If AWS could lower the price of the service that would be great, but we can't really expect such a service to be completely free. Other considerations for administrative users of the product, permissions can be set in a few different places; this is the reason I gave the Ease of Use, Setup, and Admin less than a perfect score. 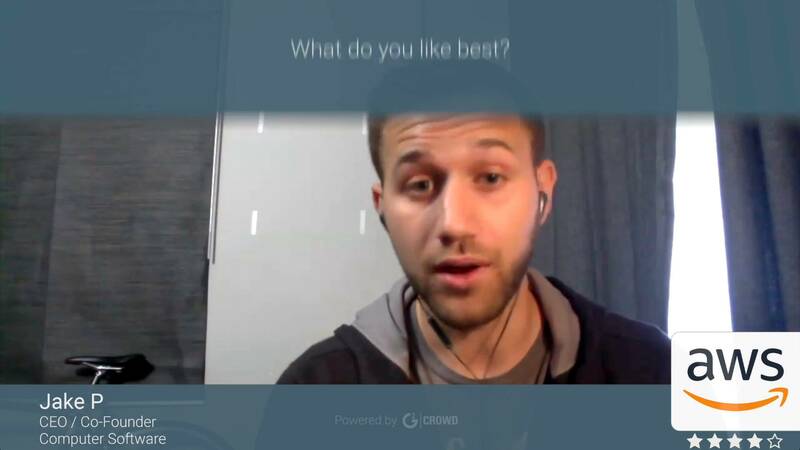 IAM is used for creating users, groups, and roles. Ideally, you will mostly be settings permissions for S3 there on a per-user or per-group basis by attaching roles to the users or groups. However, under each bucket there are additional permissions settings that exist. ACL's, Bucket Policies (JSON format), and CORS. These additional settings option can really get you into hot-water if you are unsure of the settings here. If you perform a quick Google search with terms like, "S3 bucket policy data breaches" you will find tons of instances where someone did not set the bucket settings correctly and hackers were able to access data or worse from incorrect settings. Please, just for the sake of data security read up on S3 best practices if you are unsure how to setup these buckets. I have been able to help clients host their static websites in S3. I have setup multiple S3 buckets, paired with a Route 53 (DNS) record, CloudFront (CDN) pointing to the S3 bucket as the origin, and ACM (Amazon Certificate Manager) to create an SSL certificate for the site; I have been able to secure their websites with SSL, setup a Content Delivery Network for them, and host their websites for around a dollar per month. I am also using S3 as a data backup and archival solution for a few clients that wanted to also have an off-site backup of their data being performed. The best part is, that the cost of storage is low, and I'm able to offer data encryption while in transit to or from S3 and I can provide encryption at rest for my client's sensitive data. I have also paired glacier with S3 to create a data lifecycle policy for my clients to offer longer term storage options at a significantly reduced price point over Standard-S3 storage. "Very Good and Convenient Service"
Ease of access and less price. I use it to store my device configuration files and for backup purpose. Since it supports Linux commands to store, i use crontab to periodically store and backup files in S3. It is very easy and comfortable platform. Also, AWS provides good service and do not unnecessary charge for services. While deleting you need to manually type bucket name. Really good service. Easy to use and store files. Thy use distributed file system for storing your files. Its very safe and secure. It's very easy and convenient to push files in the bucket. It supports linux commands so with the help of commands on linux you can create buckets and push files. "AWS/S3: so cheap you'd be nuts to buy hard drives"
Back in the day 500MB hard disk were the size of coffee tables, weighed close to 300 lbs and cost over $20,000. These days AWS will charge you 2 cents per GB per month and you never have to worry about a dead drive again. Oh you can also use S3 as a static store for web pages which is incredibly easy and much, much more cost effective than using either a dedicated server or a database. Accessing large volumes of data can be costly if your users are far from which ever availability zone you selected to host your S3 data ... but given how cheap AWS's storage is and how little it costs to replicate this is a pretty easily solved problem. Make sure you know where the primary users/accessors of the data you will be storing on S3 are and then select the availability zone accordingly. There are network charges associated with S3 data transfer; they are very low but can add-up. If, for example, your data is stored in Northern Virginia, but the primary accesses are from Europe these data access changes will b high than if the data were places in an availability zone closer to your intended users. "Best cloud based storage service for static and dynamic contents of web application"
Amazon S3 is a simple web services interface that is be used to store and retrieve any data of your web application at cheap price. Amazon S3 is best in terms of stargaze of large objects. S3 provides ease of integration with third-party applications, always availability, Static website hosting, data security, Backup and archiving of any kind of data at nominal pricing. Amazon S3 doesn't work great when multiple parallel request arrives to retrieve an object. There are some issues with root domain hosting using Amazon S3 to host a static website. Accessing logs and archived data is a bit tricky, but manageable. Securing files in Amazon S3 is confusing because its bucket policy is tricky to learn and implement. I recommend Amazon S3 to all junior and senior level developers. It is Very simple and easy to use cloud based storage. Amazon S3 provides objects level and folder level security. Amazon S3 provides a Bucket concept to categorize your contents based on development , testing and production environment. Amazon S3 is the best in terms of high availability, high scalability, high security and also cost effective. I am using amazon S3 to store dynamic content of my web application like user images, pdfs, word documents, videos and zip files. It provides fast and secure access to files and documents stored in cloud and easy to implement in majority of back end server Amazon S3 has excellent documentation. "Very fast, powerful, versatile, and cost-effective solution for mass online storage." High reliability in terms of availability and uptime, which is essential. It is easy to use, both standalone and to integrate with other applications. Multiple different security options and configurations make it easy to create areas and files which are publicly accessible, as well as ones which can only be accessed either by specific people / groups, or for specific windows of time. This makes it idea both for general storage, and also for the sharing of more private information. My greatest use of S3 is for podcast storage/serving, and for integration with my Wordpress-based sites. It works very well in both cases - you can make use of their feature - rich API, or of the plethora of plugins available. Generating time-sensitive URLs is harder than it ought to be, although this is pretty quickly overcome using a plugin. Remember that S3 data are not owned by you, so make sure you keep your own local copy of all data just in case of any issues or data loss! Take a little time upfront to map out your intended data structures, as it is harder to rearrange later. Backup storage space for off-site backup of certain files. "Use AWS S3 to make better products"
Amazon simple storage service is an highly-scalable business enterprise solution. It can be used in many ways to build a business solution. The best thing is it's pretty cheap to use S3 for any business solution. You can store big data over s3 and it is very easy to use some API and fetch those data when required. Another thing is you can integrate s3 with other AWS components and build a full solution over AWS. S3 can be used to store many Terabytes of data with ease and you can always fetch it. S3 stores data in the compressed format so you need not worry about the compression and it is managed to date wise files so you can always fetch it date wise. We personally use Python packages to fetch and manage s3 and it's very reliable. There is nothing to dislike about Amazon S3. In beginning, you would feel that it's not easy to use, configure, fetch data. But after you learn you would feel its a piece of cake. Just some simple steps would build a full-fledged solution. We are using it for different logging purpose. Integrating it with CloudFront and serving different data over the website. It is also used to optimize the website speed as the static components can be put over S3 and would be served by CloudFront. "My all-time favorite AWS tool for Data storage and retrieval, Website hosting"
Amazon S3 is the most popular cloud IaaS provide today. Amazon S3 is a simplistic web services interface that is being used to store and retrieve any data of your web application at a reasonable cost. Amazon S3 is best in terms of stargazing of large objects. S3 provides the comfort of integration with third-party applications, always availability, Static website hosting, data security, Backup and archiving of any kind of data at nominal pricing. The S3 interface is fairly straightforward and contains buckets to store and retrieve information. S3 can be accessed through third-party clients, CLI etc. Which increase it's efficiency and performance. The free tier is adequate for small storage and retrieval. Even for the large data, the cost of S3 is not that much. S3 provides security options for your data so no worries for information leak. Also, you can host a website on S3 which is super easy. I used third party Python library boto3 to access S3 from CLI. Boto3 makes it super easy and efficient to access and regain our data. When I started S3, first it was difficult to begin. There is a learning curve to start S3. But once you passed it, S3 is the best cloud storage device. Apart from that, I do not understand the bucket policy much. There are documents for that but it can be made simple. If you are a startup, I would suggest going for S3 for your Data Management. It offers cheap rate and fairly simple to use. Also, if you want to host a static website then S3 is the best option. I have used S3 extensively in my startup. We use boto3 python library to store and retrieve the S3 data. My company's data is safely stored on S3. Also, some of the features in our app use S3 data. Along with the data storage, I have created a static website on S3 of my startup(www.blubyn.com). It is very convenient and easy to host a website on S3. I use Cloudfront AWS as a CDN which makes my website easily accessible. On a conclusion, S3 is one of the crucial parts of our company for storage and retrieval of data. Its easy, simple to use and super cheap. Also it allows us faster load times as most of the contents are stored in the same data centers where our app servers are running too. Permission model should be more user friendly. The user interface looks very old. The cli sometimes breaks without proper error codes that makes it harder to debug. Also, it creates a huge dependency , if it goes down, our deploys wont happen, and it always creates some concerns for us. Cheap and works. No brainer. Upload all secrets to S3. We pull them down during deployment and then shove them as environment variables. The benefit is that it allows us to use aws to store secret keys and use them during our deployment pipelines. "Simple and versatile storage service - pay only for what you store!" The pay-per-use pricing model; have as many buckets as you want, but only get charged for what you store - and only for how long you store it! No more upfront fees. 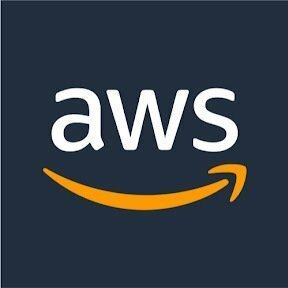 Your content automatically becomes available over regular HTTP via s3.amazonaws.com/<your bucket name> without even having to set up an explicit CDN or DNS routing configuration! You can also integrate S3 with Route 53 (DNS), CloudFront (CDN) or any of the hundreds of other AWS services to build a complete cloud solution for your enterprise. The Free Tier - https://aws.amazon.com/free/#Amazon_Simple_Storage_Service_(S3) - lasts only for the first 12 months; after which you start getting charged for whatever you have in store. It would have been great if at least 1 GB were offered as a continued free tier. There's no way to set a "hard limit" for storage - if an application error continues to produce/consume large amounts of S3 content, there's no way to limit it from S3 side. Keep track of your usage: S3 charges for used storage as well as API calls, so having a CDN (e.g. CloudFront) in front could help you when hosting frequently-accessed content like websites and consumer software bundles. S3 has several advanced maintenance options like lifecycle policies, different storage classes (SLA/QoS), access logging, versioning, access control and so forth - a good knowledge of as many of these as possible will help in a smooth, cost-effective and trouble-free journey. We are hosting all our company websites, online service front-ends, software distributions and customer deployment artifacts in S3; it is quite convenient (just upload, and it's open to the world! ), maintenance-free, and as secure as it can be (there's no server to maintain or protect against hackers). S3 is also an integral part of our serverless IDE product, where clients' build, deployment and testing artifacts are completely hosted on S3. "S3 is a flexible pay for what you use storage service." S3 offers a pay for what you need object storage. It offers useful features such as encryption, cross region replication, and object level logging. It also offers multiple tiers that serve different needs based on how frequently that data needs accessed. S3 can be complicated to secure correctly. It requires setting up multiple IAM policies. It does not offer the same mounting features of block storage on EC2 instances. EC2 also uses name spaces to store files which requires tagging of objects to find things efficiently. The s3 API does not work well with third party tools that do not have support for it developed. Use S3 via API for storage feature management.It works well via CLI and python and several other open languages. S3 stores our application artifacts. It provides encrypted storage location to stage data for other AWS services. We are also experimenting with the concept of data lakes. This will allow us to have a cost effective way to process data in AWS red-shift data warehouse. S3 is also becoming a web host for static websites within our organization. "S3 is an effective storage solution"
The web interface makes it very easy to upload/share files across EC2 servers. There are hidden bandwidth/request costs that add up if you are making a large number of API calls or downloading large amounts of data. We primarily use S3 to share configuration files across EC2 servers in our cluster. This makes it easy for us to effect changes to our cluster configuration without needing to re-image all of our servers. AWS access policies allows us to share these configuration files securely by restricting all but necessary permissions to read/write these files from individual servers. It also makes hosting static websites outside of our primary infrastructure a breeze. "Amazon S3 - The best way to Store on Cloud"
S3 has a rich UI tools to interact with the buckets and data stored on AWS S3 cloud. It has equal rich interface via command and APIs to interact with data. S3 is really low cost service. One never need to worry about its scalability and reliability. Just put the data on the cloud, give proper access via IAM and rest assured. With help of SNS, you can move your dead backup from S3 to amazon Glacier. All these things are integrated so well that, you will never find any broken experience. The restriction of the name given to bucket. You can not assign the bucket name which is used by other user. This puts significant restrictions on common bucket names. AWS represents each bucket as URL, they don't allow. If you are looking for cloud storage options, S3 is the best choice. It is really cheap and so cost effective. We never found any downtime or reliability issues with it. For static content hosting, S3 is the best option. Its versioning system keeps backup of each and every changes you make. You will never loose your data. I highly recommend this service. We have used AWS S3 quite a lot for some static content hosting. Now a days, we are using S3 for data backup, file sharing and storing results generated by servers hosted as EC2 before destroying the instances. "S3 has become a central piece to our Digitial Science platform"
S3 offers a very easy way to implement file storage for our application. It offers very granular control over objects, and we can implement very targeted access to objects based on user and role permissions that are passed on from our application. I do dislike the lack of formal mounting to infrastructure, but this is only a very small dislike and it is only an early implementation issue. As you work more with s3, you realize mounting to hardware is actually the wrong approach to problems using s3. s3 is the most comphrensive option for file and object management out of any cloud provider. Not only that, but it also easily ties in with the rest of amazon services. S3 is a core application use in our digitial science platform. It offers a very easy way to maintain user access to objects, and gives us access to encryption and lifecycle management of objects simply by using the platform. How simple it is to use and configure controls. We're able to de-couple a lot of different parts of our application but making steps towards becoming serverless. Since we're able to host static files online, it cut our deployment times in half! There's a bit of a learning curve when first starting to use it. I don't think the UI is super intuitive, nor have I found any helpful tutorials. I had to learn a lot about the service by playing with it, and I wish there were more helpful resources so that I could be more efficient in terms of time and cost. The loading and unloading speed is very fast and reliable. In the moments in which we have contacted the support team, we have received a quick and efficient response which speaks very well of your support. S3 has turned out to be very good and they helped me migrate from my old server. I have not experienced any downtime, it has always been stable. Latency can sometimes be a problem with workloads sensitive to latency. We use AWS S3 for file storage so we do not over saturate our own storage system. Because of this we have been able to improve our ability to analyze our data. "S3 - Cloud Storage Makes Easy"
2. Common bucket names are not available as S3 allows buckets to be used as URL. So, if bucket name is assigned to some other account, you can't have the same name. This is the most basic and cost effective service. It charges 2 cent per GB per month. Start migrating all backups, logs and static content to S3. It is highly available and highly reliable service with really cheap price. Must go for all small scale organisations who do not want to keep larger in-premises storage server. Must must go for all enterprises for their large data transfer demands. "AWS S3 lo mejor para tener tu respaldo"
My favorite feature of S3 is static website hosting. I work primarily with React, and I have build PoC to production apps, hosted, in record time with this feature. It is AMAZING! My only complaint is that I regularly create buckets that I want to be more open, and end up getting errors because the bucket is locked down. I don't want this to change, it is a good security feature that should be as it is, it's just something that I as a user need to be aware of as a design choice. Use it. Potentially the best and easiest to use service I have ever come across. Simple is the keyword. It is so easy to store and use data with S3. If I have a buisness problem, somewhere in the solution it is a safe bet S3 is coming into play. "Probably the Best Cloud Storage Management!!" It is inexpensive and secure when setup properly. Easy to learn with a lot of documentation readily available for it. Once you have done the setup correctly, all you need to do is sit back and see your job done in a precise automated fashion. Folder structure and added services may be hard to people new to AWS. There are overlapping product functionalities, and names may be misleading/uninformative. API based documentations are missing and hard to do. Also, It would be nice if we could map a bucket as a network drive; right now we are using a 3rd party product as a gateway between the on premise and the cloud to allow our on premise applications to drop files that the cloud applications can pick up. This is a great product that is very easy to work with and can be used for business and personal file storage. You will never have to worry about the size of your hard drive again but if working with APIs (integration) then it could be a bit difficult as I have found. Otherwise, go for it.! "VERY RELIABLE AND EASY TO USE SOFTWARE"
It allows us to upload all our data to Amazon Data Centers without worrying about any kind of limit. Photos, videos. One of the strengths of S3 is its transparency when it comes to hosting our data. We will never have to worry about the storage capacity of our account, as we will have a single container with virtually unlimited capacity. The more we store, the more we pay. Scalability is a concept that with S3 becomes superfluous. Amazon is already taking care of new machines and more storage units for us, and making everything work without us being aware of it. The files are saved in buckets, which then contain the folders and files we store. The most interesting thing is to integrate it with the REST API that S3 provides us from programming, since for example, we can from an EC2 server generate a large file that we automatically serve from S3 and free the EC2 server to serve it. A very important addition is the inclusion of CloudFront, which is a CDN for S3 that allows us to replicate the file worldwide and thanks to the same download URL, download it from the server closest to the user. The best thing is that this process is completely transparent to the developer, and simply by activating it from the CloudFront control panel we would already have it working. Access to storage management on Amazon S3 is via web interface services that present the information stored in the cubes. However, this interface does not contain any order or search functions within the cubes themselves. This can cause problems when locating a file inside cubes with a large number of documents. In addition, the cube names are global, so when using simple names such as "abc", "storage", or "documents", it is likely that they have already been used and particular character combinations will have to be made. From my point of view, Amazon has given a big push to all developers to facilitate a revolution in the web world. From now on, maintenance and infrastructure costs will not be a problem for all those who are thinking of developing a project with a great need for data storage. For an almost ridiculous price we'll have a mass storage service, high availability, and no need to worry about escalating. In other words, in general terms, it is a fast, highly available and economical system. Regarding its use, by default we will have three users: Owner (referring to the user who hosted the file), Authenticated Users (referring to users authenticated on Amazon), Everyone (referring to all non-authenticated users, that is to say, any client on the whole Internet). Although we will be able to add new S3 users with specific permissions for our data, it assures us 99.9% availability, which equals any high availability system we can hire, and would return up to 25% of our turnover in the event of a decrease in availability below 99%... Additionally, it has an API for the communication of our applications with S3, which accepts HTTP Request requests encrypted with Crypt/HMAC. Each access we make to this API must be validated by two keys that Amazon provides us and that, together with a hash based on a temporary seed, access information, and the destination key, generate a signature that the system will validate. "Almacenamiento en la nube de la mano de Amazon"
Esta plataforma ofrece un servicio genial. Te permite almacenar en la nube de manera dinámica (contratas el almacenamiento que realmente usas) todo tipo de archivos de la manera que tu prefieras. Su sistema de login ofrece una gran seguridad al ir con diversas claves y usuarios. Puede ser un poco complicado acceder si pierdes alguna de las claves que usas. Realmente es un sistema muy bueno y no destaco demasiados errores. Un sistema muy potente. Y como se suele decir, un gran poder conlleva una gran responsabilidad. Recomiendo encarecidamente tener una buena organización porque puedes llegar a perderte entre tantos ficheros. Utilizamos S3 para almacenar todos los mails que enviamos a nuestros clientes, teniendo un registro continuo de millones de ellos desde 2015 hasta la actualidad. Tenemos también almacenados todas las fotos que aparecen en la web, los vídeos y otros documentos útiles para la empresa. "Versatile File Storage Facility "
It is so versatile, you'll find that you'll end up using it for backups, log files and also distribution of files to end consumers through a C-Name to brand the file distribution under your domain name. I've used Amazon S3 for a long time, and it's come on a long way in that time from having to access through third party clients such as Cloudberry, however, the web-interface still requires a small amount of technical knowledge. A quick to access desktop version of the web-interface would be useful for quick distribution of business files. To store backups, hold log files, configuration settings and distribute files to customers (setup files, graphics and PDF resources) . Amazon S3 provides access to reliable data storage and fast distribution. "Most Affordable and Efficent Cloud Storage"
Amazon provides Cloud storage service in the form of Amazon S3, It is most affordable yet powerful cloud storage available in the market. You can store any kind of data and files on S3. It is a global service, hence can be accessed from any aws region. You can use aws-cli and other client tools to store and retrieve data from S3. It can easily integrated with other aws services say cloud-watch or Amazon EMR. The only thing, i dont like about amazon s3 is its console UI. its is pretty boring. "Easy to use Cloud Storage"
I like the fact that S3 just wasn't for simple storage but rather a full storage service. One can use S3 to storage anything from photos to interacting with Mobile Services/API's. S3 is fairly straight forward to configure, well documented and reliable. S3 is very affordable and should suit most small businesses budget. Even in the "terabyte" range it is still cheaper compared to many other cloud storage providers. At times, the retrieval at data can incur some delay. Its best if these are frequently accessed files, to have them be cached using a CDN (eg. cloudfront). Having to use third party applications to upload to you storage buckets might deter a novice user. Importantly, S3 only servers static content, so dynamic pages (eg. php) still requires a web server. Finally, bucket names have to be unique, so trying to create a name that you like might take a little bit of time, somewhat like trying to find that perfect domain name. Great Product. Well Documented. Cheap. Reliable. Supported by many third party file management applications. Overall S3 is a great product for simple file storage but can easily be used for large applications as main storage. We use S3 to store data for custom built applications. This works great for us as its very affordable, always available and easily integrates into our application. S3, also ties in easily with amazon's CDN so scaling on demand is pretty straight forward. "S3, yet another great cloud service from AWS"
Part of AWS, easy to use, REST API support, library support in many languages. Some parts are non-standard and could confuse people if they don't pay attention to detail. For example, people sometimes think that the ETag is always just the MD5 sum of the file, but actually the ETag value depends on upload method and encryption method, and may not actually be the MD5. Use in conjunction with other services, such as Lambda, to fully leverage the file upload and store pipeline to include file processing as well. Easy way to store files up in the cloud, and download and access them with file IDs stored else where, such as in a table. AWS S3 has a great API and a lot of integrations, we love it. a lot of options for disks types. Ok to use for a junior and senior level developers. The main part of the service is not cheap. You need to read a lot of documentation before start using it. There are hidden request costs that add up if you are making a large number of API calls or downloading large amounts of data. "Great service for your business"
That you only pay for what you use. And you have possibility to restrict access to specific resources. Also number of out of the box integrations is something you should be happy about. Sadly access can be only restricted by some static IP list, no way for some more complicated ideas like only restricting to specific "Security Group". The web interface, is very rough. No many options to filter/find files you store in S3. The "Simple" word from name: Simple Storage Service (extension of S3). Is there in purpose. I don't like that when changing some settings for bucket or resource I'm not able to retrieve historical settings with details who was author of that particular change. That would be very useful to be able to retrieve such informations. It's so cheap and no brainer service that you have to use it. For keeping all data you would normally put to your hard disk of your servers. You receive control over who is able to access them + you are sure in 99.99% that you won't loose them. Availability is excellent. We use it to keep our application files like uploaded avatars, as a cache for generated PDFs for invoices of our customers and to store backups of our applications. And to store static files (HTML/JS/CSS) with documentation for our API which we then share with customers. With S3 we do not need to have separate instance to serve static content. And we pay only fraction of cost for that usage. The price is always based on the usage/consumption of traffic and storage. "An infinite scaling key-value store for your large binary data"
S3 is a "infinite scaling" key-value store for textual and binary data. It's not a database (doesn't provide features and latency of a DB), but more like a distributed file system where you can store large data and access it via an HTTP interface (or the AWS console, the API or cli), designed to be store and retrieve data reliably. What I love the most? It works. It's probably one of the most solid AWS products (thanks also to the facts of being the oldest one, if I'm not mistaken). Over the time, AWS introduced many great features, like the ability to host static websites on S3, fine-granted access control, access logs, and so on. All features are very useful if you start building products on top of it. In my opinion, it's quite difficult to have a quick overview on public objects inside a private bucket. Let me explain: S3 buckets have a default ACL (private or public), but single objects can override it, so you can have public objects on private buckets. When a bucket contains a lot of objects (from hundred thousands to millions) it's tricky to check if - for any reason (ie. mistake, software bug, ...) - there are public objects in private buckets. This should be improved. We use S3 to store web assets (ie. CSS, JS, images, ...), fully static websites, audio files, backups and basically any binary data for which we need a reliable and durable storage. "Rich Features from a Powerful Product"
The features provided by Amazon S3 are many, powerful, rich, and diverse. Powerful in that I have enough utility when I use S3 to maximize the ability of my web apps, exclusively with S3. Many, as is obvious that there are more features than I have had to explore, each of which I am excited to navigate and learn how to utilize. Rich as the depth of each feature is incredible. And, diverse which alike the fact there are many, in that the features cover a broad spectrum of web development utility. Initially, my most prominent dislike was the difficulty of navigation between features and between my buckets. Once I conquered that, I struggled with understanding the capabilities of my keys. So generally it was a learning curve, similar to learning any technology. I am solving developer operations problems of scaling my web application. I have realized through utilizing S3 features from the cloud, I can make the most of my time, and focus on improving my product as a result. "Swiss army knife in storage solutions "
It's virtually unlimited, gives you 99.999999999% durability and very high accessibility and if configured correctly could be cheap as chips. Great CLI and API. It's mature and super reliable solution with a lot of additional features like: static web hosting, versioning, lifecycle policies and storage classes (which allow you to lower the price even more). It's deeply integrated with a lot of other AWS solutions giving you wide range of usage schemas: from storing logs to website hosting and backups. Incomplete Multipart Uploads handling - if you forget about it it could cost you. Web UI could be better but it was improved lately and it's going in the right direction. Reliable, highly available and extremely flexible object storage solution. Storing logs, backups and data archiving, static web hosting. Availability and scale are important. As a manager of an online video library, S3 allows us to host registration and payments on our own dedicated systems and store large files for video using S3 for CloudFront streaming while controlling access to it. I also like the offsite file storage capabilities. Having a unlimited file repository that can be made public or private via permissions is very important to us. S3 allows us to store, host and process files as needed in a secure manner. The only thing I dislike about the S3 file buckets is there is some slowness in transferring a large file into the edge CloudFront location if the file is extra large and is not regularly accessed. I have not looked in the last year, but there was not an easy way to keep these files cached using a valid until type header reliably. Sometimes our end users had buffering issues until the file was fully loaded once. I did not see this issue when transferring from our own dedicated server, but this was 4 years ago and this may be resolved now. Time. Some software systems I administer do no offer robust plugins for S3 yet. This is changing however and Amazon provides the service we need. We save in infrastructure. In combination with CloudFront, out system is flexible and is minimized when not in use and can support a nearly unlimited number of customers when we need it without paying for the excess idle hardware. "Rock solid storage at a great price"
It's fast, easy and ridiculously reliable. I use the S3 browser to do everything from my desktop for the most part. We also link several utilities to it to push backup files up there nightly. Never have to worry about a thing. You kinda have to be technical to use it. It's not for everyone. You will have to be able to understand basic technology and transfer protocols. It's not super easy to use but once it's up and running it's worry free. It's super consistent and cost effective. If you need them to admin it for you is will get very expensive though. You really need to have someone on your team that is a system admin to properly use most of their services. If you do, you are in great shape. If you don't, you'd better have a checkbook ready. Their support, for the most part, consists of a callback service and they are pretty reliable and quick about it. Their people are really professional and patient. Bottom line: you get what you pay for and if you want the best you have to pay for the best. We mitigate risk by nightly pushing site backups (full and partial) to the S3. We are able to keep versions up there in the event we ever need to dial it back. Very easy and it saves us a lot of money in cloud storage. The usability, performance, and dependability of S3. The S3 platform has more configuration features that I can use and cover almost every use case. Consider your use cases and if you're going to have a large number of buckets try to have them standardized. Take advantage of s3 events to add more power to your system. You don't need to worry where is your data located. Dump anything and everything. Very easy to access, such easy to create/delete files/folders. It is not possible to view the file contents directly from the console. If this could be introduced it will be a great value add. The data storage problem. No need of the big expensive tapes. This is so convenient , easy to access from anywhere and everywhere. It does not matter what type of data you are storing, just dump it in difference buckets and secure through the IAM policies. "Not as cheap and not as fast"
2. Too many ways in the SDK to write and read data, could get confusing. TransferUtility, WriteObject, AWS Cli single copy mode, multi part copy mode etc..
"De-facto standard for cloud storage"
S3 is literally the place where most of public enterprise data is stored. Being the first player in cloud segment they are the market leader. They beat hands down other products like Azure Blobs and Google FS in terms of scalability, reliability. S3 is cheap. You only pay couple of dollars for accessing and storing a terabyte. Solid security and integrates neatly with other AWS tools like IAM roles and users. Bucket policies ensure that bucket is only accessed by users who have proper security credentials. Reading from S3 is slow. Still better compared to other alternatives. Currently the best cloud storage service you can get in the market. "Really Cheap and scalable key value storage"
It's no limit and cheap for storing large key values. We use it to store post contents that are also web accessible, so we mostly pay for a lot of writes. The storage price is insanely cheap for a comparable database (price per GB), but the writes are expensive for the usage. It's super easy to scale out, just pick a different region or Availability Zone, and you're safe. The pricing for writes. If you create a lot of objects that is where the cost will be an issue. That also means deleting objects will be expensive. For us that is a huge red flag, since once the data is up there it would cost boatloads to get out of there. Checkout Backblaze B2, as it is half the price of Amazon S3. We run an RSS service and store the contents of the posts in S3. Previously we were using a MySQL database, but it would end up being a headache when disk constantly runs out, and we needed to write processes to clean up posts that were seldomly used. Now that storage is sooo cheap, we don't have to worry at all about old posts, since they cost next to nothing when they are up there. "Web data on the Data Web : Amazon S3"
The provided options that are available for the S3 bucket objects is amazing. You might be wondering that you are actually navigating inside on folder and then further, but this is not the case. Everything on the S3 is an object itself, and the folder address we see is a virtual address for the file. If you need any jars, or any code that you want as a backup, but it needs to be deployed as well, you can keep it in the bucket and can give the URL of the file while deploying, or directly point to S3. But it is not finished yet, the most amazing part that I found was triggers. Imagine a scenario where you want an API to be called as soon as any file enters a particular folder. This happens on the S3 bucket. You can customize your trigger for events, like a file update, or delete, and then point the action to wherever you want. Call an API, maybe or call a lambda function, that is up to you. The one disadvantage to that I felt strong about S3 is that it does not allow you to specify a “root object” or a default such as “index.html” to be the default file shown when someone views your S3 bucket’s URL . Also, S3 does not allow for dynamic content such as PHP files to be executed, meaning that you can only store static content. For this reason, you may still need to hold onto your traditional hosting in order to execute PHP scripts & MySQL. But you could again deploy them in ECS or RDS and point to those according to your comfort. If your project/product is bound financially, then storage on AWS S3 might be a little heavy for you to consider. Else, it will deliver above expectations. We have been keeping code Backups, jars for deployment, Amazon Lambda code, triggering Automatic mails using AWS SNS,etc. These have helped a lot in getting the work done at faster speeds. You do not need to setup your own SMTP server to send mails to your subscribers. It is very UI friendly and a mail system setup for n number of users can be done within 15-20 minutes or even less. Managing data, and accessing it programmatically has actually helped a lot in increasing delivery speed and is extremely beneficial for Agile. "Fantastic way to store files in an easy-to-access API." I really like the ease of use via the API - both 3rd party bindings (We use Fog for Ruby) and the awscli provided by Amazon. I dislike how confusing the pricing structure is. There are several options, and I hope that they are able to slim the variety down. At my day job, we use Amazon Super Simple Storage Service ("S3") for our file storage and are preparing to roll out the CDN integration with CloudFront. The business problem is that we store large files (customer artwork) and retrieve it 2-3 times, but still need to hold onto it until the customer deletes it from their account (so archival isn't an option). GlusterFS and similar options that allow you to create a scalable network filesystem are too complex for our scenario, and the overhead on our small team would be massive. S3 fits the bill by being easy to deploy, use and manage. Previously, I spent 2-3 hours a week tending our network filesystem, and I'm really glad that Amazon S3 has taken this load off our plate and allowed us to focus on delivering value instead of managing a filesystem. "Easy way to store documents and video for team access"
Amazon's S3 - Simple Storage Service is a very easy way to store documents, images and videos in the cloud. I have a 6 person team all able to access and add to our document repository. Additionally, I'm a big fan of how documents are categorized into different categories depending on how often they are accessed. This makes it easy to find regularly used files and different levels of archived documents based on how long they've been inactive. It's really useful. I use Amazon's AWS service which allows web services to pull from the S3 storage database as well. Nice and easy integration. The aesthetic design of S3 is somewhat lacking. While it is an easy to use system that isn't full of bells and whistles, the design of the pages could be be brought up to speed. It's not very appealing, but it does serve its purpose. Very easy solution to use, but may not be the cheapest solution if you need it ONLY for cloud storage. We use it for web requests to that content as well which makes it much more valuable for me and my colleagues. Amazon S3 has allowed me and my colleagues to easily access each other's documents in a secure cloud setting and also allow our web site visitors to access, via AWS, the video files we host in S3. It's a simple to use, easily accessible, low cost cloud storage solution. Simplicity: It' has a cleart interface and simple access patterns. Reliability and Redundancy: Data gets stored automatically in different zones. Low lastency: The multizone gives the best of all words for access from anywhere. Sharding - the sharding could be improved or be more flexible- it''s simple but sometimes you want localityy in the data and then you need to come up with sophisticated keys. "S3 is a convenient way of storing static data"
It should be kept in mind that the file retrieving can increase the price and as a result it can lead to a higher spend than expected. Also the default limit of buckets per account is 100, but for must people it won't be an issue. * We monitor all Amazon Simple Storage Service (S3) reviews to prevent fraudulent reviews and keep review quality high. We do not post reviews by company employees or direct competitors. Validated reviews require the user to submit a screenshot of the product containing their user ID, in order to verify a user is an actual user of the product. Hi there! Are you looking to implement a solution like Amazon Simple Storage Service (S3)?